From this page, you can search for hotels, motels and vacation rentals bordering all five of the Great Lakes: Erie, Ontario, Michigan, Huron and Superior. Having a motel or hotel ready for you at the end of a long day of charter fishing will postpone the drive home until you're rested. Most fishing charters leave the dock early, so booking a hotel or motel near your charter captain's marina for a stay the night before your charter trip will insure that you're rested and ready to fight fish all day! 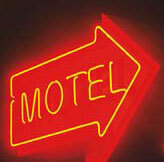 This hotel search is provided as an additional service to our site visitors. The hotels and motels reached via the search at left are in no way affiliated with greatlakesfishing.com. Please let us know if you have a question about this service. Hotel and motel owners who do not find their businesses listed in this hotel search should contact the search provider, Interactive Hotel Solutions, to inquire about getting their businesses listed.